It pays to be totally maniacal when it comes to checking websites that give ‘free’ stuff away. 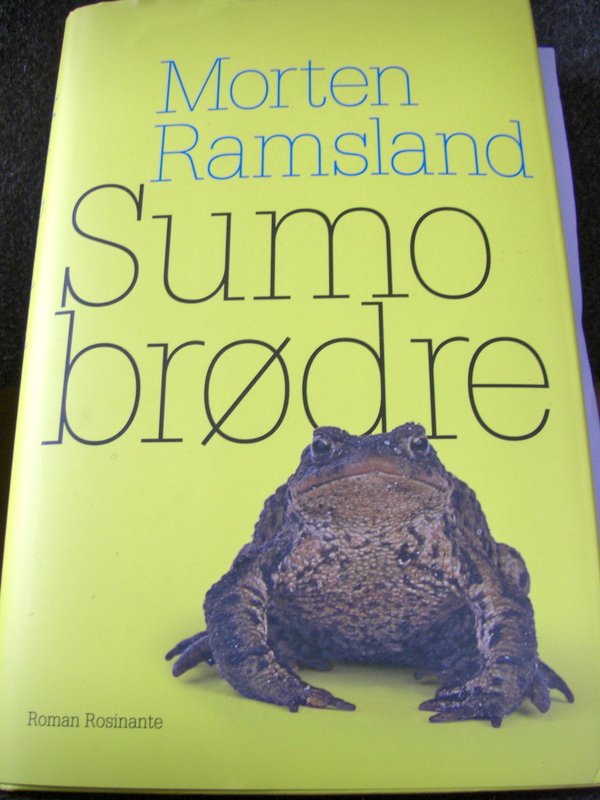 Last week I was quick enough to be one of the five fastest to volunteer at DR’s Testklubben to review ‘Sumobrødre‘ by Morten Ramsland. The prize? One copy of the book, free of charge. Score! I am starting on it today, and on the 22nd it will be introduced on ‘Smagsdommerne’ (a review program on DR2), and the site will open up for reviews. The only other time I have won something was when I was about 15. It was a copy of MJ’s ‘Blood on the Dance Floor’, and I was over the moon with excitement. I didn’t even remember entering the contest, and the feeling of receiving something by a chance draw is really special. It’s a gift, but a gift from someone you don’t know, and only because you actively did something. But you did something, and it paid off. High five myself, applause from the audience and an inner smile for the rest of the day. Lovely! Just as an initial comment; I don’t like the cover. And it has nothing to do with the giant toad, which I actually find charming, or the font (Minion, to you font lovers out there). Due to poor photography skills I have not been able to capture just how yellow the cover is, but I can assure you, it is mighty yellow. Screaming neon yellow to narrow it down a bit. And it hurts my eyes when I try to read the bloody letters because they are baby blue and black, and… so many contrasts, but hopefully my only concern regarding this book. I have previously read ‘Hundehoved’ by the same author, and keeping in with the times of family narration, the generation saga, it was really well written. So there you are! I am on a mission: two days, 255 pages, 1 review report and a, until further notice, sufficient amount of coffee to keep me going.